"In periods of rapid growth, you must move quickly, and in periods of slow growth, you must move slowly." All business coaches teach that if you fail to plan, you plan to fail. This is exactly what I was doing before I met Brian Wehlburg who is an educator in Holistic Management. Dunblane is located in a "non Brittle" environment. That means there is moisture on the soil surface most days of the year. Our rainfall is about 1000mm a year. (See the rainfall graphs below) Most of Australia is "brittle" which means rainfall is seasonal and there are periods of prolonged dryness on the soil surface. What I never knew was that applying the tool of "Grazing" identically to different brittleness environments produces a different result. I rotated the herd without a grazing plan, moving the cattle every 3 or 4 days, falsely believing I would not overgraze. I was however making no distinction between growing and non growing seasons. Paying no attention to brittleness. 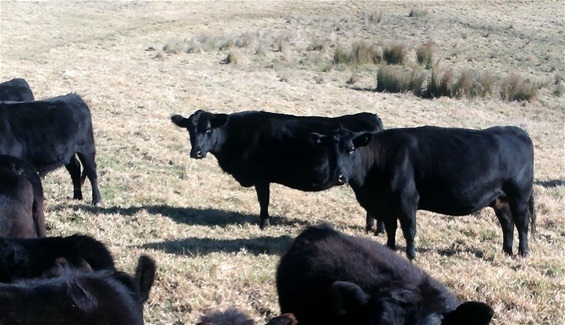 This management strategy meant that the cattle got around the farm in about 60 days. While that is fine in mid summer when kikuyu is vigorous, its very bad in mid winter when kikuyu is dormant. 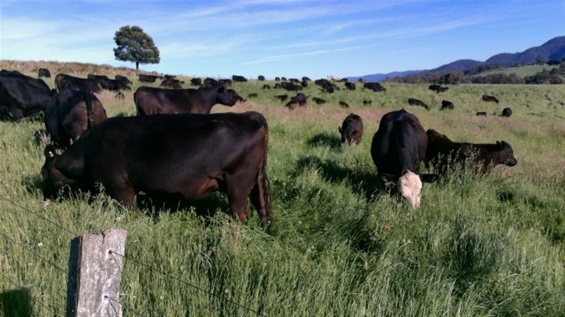 In effect stock returned to a paddock before plants had time to fully recover. This meant the root systems were weakened and I was overgrazing the plants. Because we live in a non brittle area,there was still good ground cover but no vigour in the plants, which lulled me into a false sense of security. If I had been managing a brittle environment in this way, I would have produced more bare ground and perhaps realized earlier that I was doing something wrong. The top right picture was taken in Aug 2013 (Note the "Lone Wattle") The picture below is Aug 2014. In the months Sept 2013 to Dec 2013, we had almost 500mm of rain, yet there was no real spring growth spurt because there was no root energy. 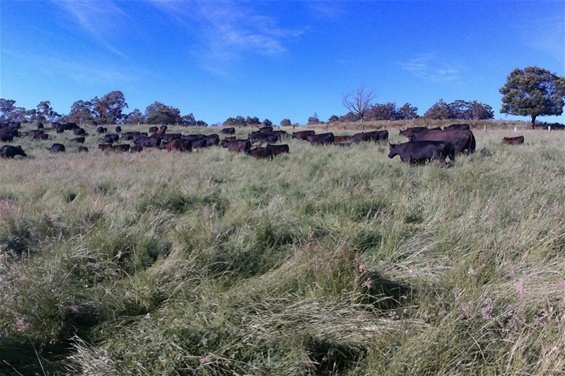 Fortunately for me, in Dec 2013 I enrolled with the Holistic Management TAFE Course and met Brian Wehlburg who taught me about brittleness, overgrazing, planned grazing and explained the concept "in periods of rapid growth, you move quickly and in periods of slow growth, you move slowly" The photo below (Aug 2014) is 12 months later(note the "lone wattle), similar stock numbers, similar rainfall, properly planned grazing and amazingly different results. My next intervention is to use another tool called "animal impact" more effectively.Animal impact is the concentrated effect of dunging, urinating, salivating and trampling. I am currently reducing paddock sizes to about 5 ha. by straining a single strand of electrified wire. 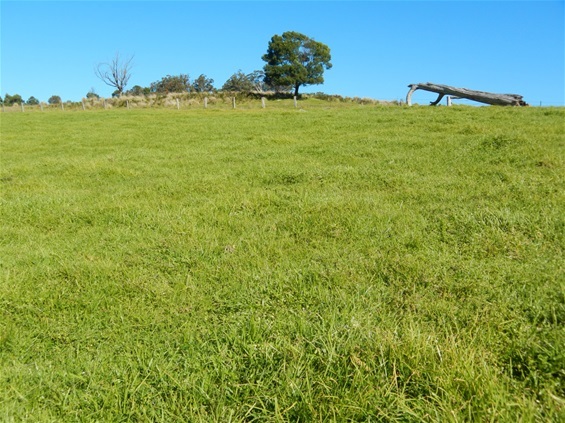 The animal impact will stimulate more grass to grow , improve biodiversity and over time will increase carrying capacity. 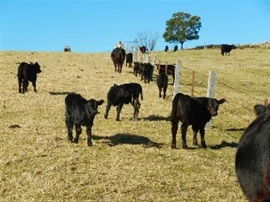 I am very pleased to report that this is the first year that I produced calves for sale with virtually no input costs. No licks, no drenches, no hay, no antibiotics. My only direct costs were Tags, 5 in 1 injections and transport. YaY!! Oct 2014. Dense, lush and biodiverse. I am stunned by how rapidly nature recovers when we decide to work synergystically. Same cattle. Mid winter, July 2015. No added feed. Forage only.